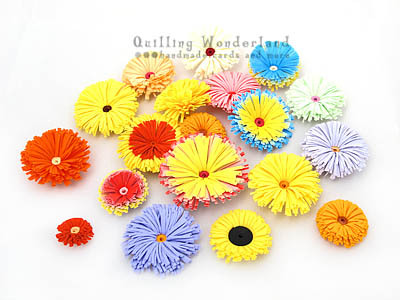 Hope this tutorial will help you with your fringing, which can be very time consuming as well as very frustrating, but who don’t love these paper wonders! 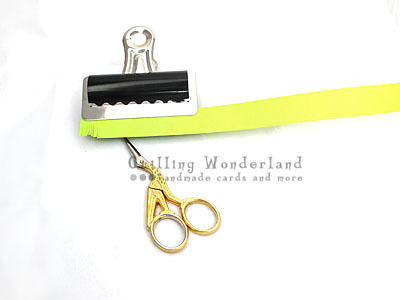 9 cm scissors and bulldog clip ( you can always use the one from the kitchen). Little trick for long paper strips. Fold your paper strip in half and you’re twice as fast! Now you will have more time for creating . You see fringing is easy!! 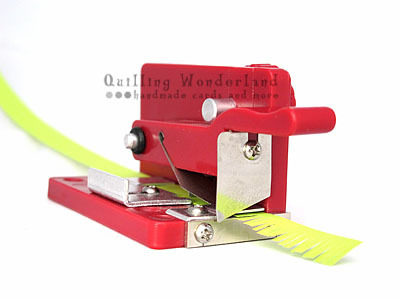 Insert the paper strip into a bulldog clip and cut. Don’t worry you’re safe, you won’t cut off anything. Here you have the original tutorial by Inna’s Creations. Very cute and they could be used for so many things. The only limit is your imagination 🙂 Thank you fr your comment! Hi Anne-Marie 🙂 They are too big for me (and I have no control over the cutting width) 😉 Have fun!! Thank you! 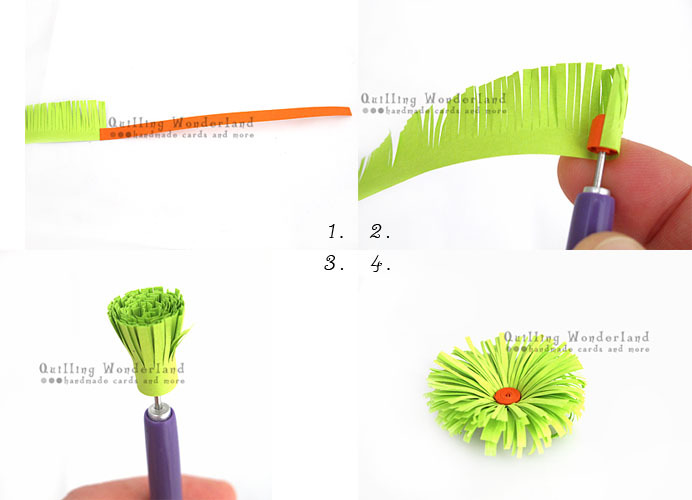 Pingback: Quilling Tools - All difficult names in one place. You don't need all. Pingback: Grandparents Day Card - Handmade bunch of flowers greeting card.